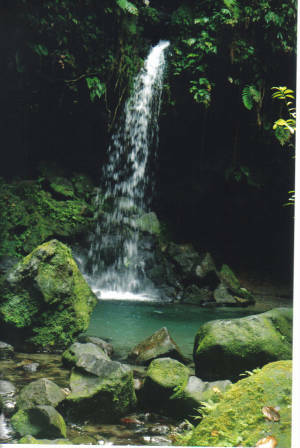 What to see and do in Dominica. 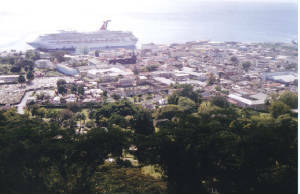 Dominica (doe-mi-NEE-kah), Nature Isle of the Caribbean, is volcanic in origin, with majestic mountains, submerged volcano craters, magnificent waterfalls, mystical boiling lakes, and bubbling hot springs. The island remains literally carpeted with an abundance of tropical flora and fauna and inhabited by a diverse species of wildlife. This island is that rich in natural beauty; that undisturbed by tourism. This island is definitely not the Dominican Republic. Here you will find the last of the Carib Indians. We have listed some of the nature’s best kept secrets but ... seeing is believing. Whale and dolphin watching from Dominica - afternoon boat excursions from Dive Dominica and the Anchorage Hotel are twice weekly - 2.00pm till dusk, all year round. Along with the many species of whale which frequent our waters (located by sonar detector lowered from the boat) can be seen dolphins and frigatebirds, along with flying fish jumping alongside and in front of the boat. Swim against the majestic backdrop of the famed Trafalgar Falls, a 15-minute walk through the rainforest from Papillote. 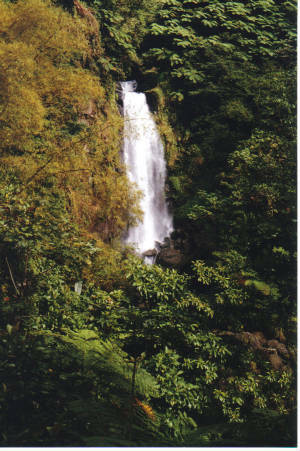 Hike to Middleham Falls or the legendary Boiling Lake. The Carib Territory in the east is home to the only surviving population of Carib Indians in the whole of the Caribbean chain of islands, originally descended from South America. Handicrafts such as basket weaving and carving can be purchased from roadside kiosks and a traditional Carib Village is open to visitors. Today, over 3,500 Carib Indians are direct descendants of our first settlers. Spending a few hours in the Carib Territory is a highlight of the island. 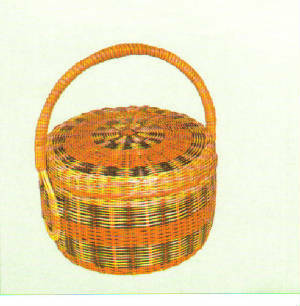 Even if you are not the type to shop for souvenirs, be sure to bring home a Carib basket, even a small one. It's a link to a world well before 1492. A picturesque view of the capital city of Roseau with your ship in the background; Seen from Mourne Bruce . 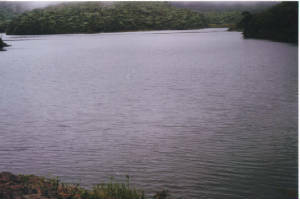 Fresh Water Lake.....Dominica's largest lake. Emerald Pool - "Fountain of Youth"